I am happy to announce that Elderly Instruments now has several of my dulcimers in stock. I first began making dulcimers by putting together a kit I bought through the mail from Elderly Instruments when I was a teenager. I never imagined that I would end up working at Elderly for many years nor did I think that at the age of 50 Elderly would be carrying my instruments. I also didn’t think I would meet my future wife when I went to a job interview at Elderly many years ago. So having Elderly carry my instruments feels like something has come full circle. 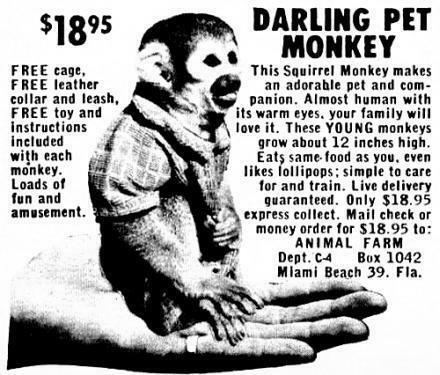 I wonder how many parents lived in fear that their kid would somehow come up with $18.95 and order a monkey through the mail. Where would you learn how to play a monkey? Hey, its my blog and I can say what I want! All I can say is ouch! On the other hand, if a monkey-maker costs less than $18.95 it would be a great deal! 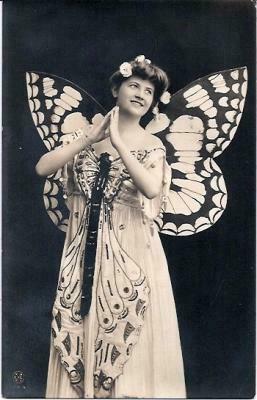 I bet it was the same Robespiere. I mean, how many monkeys named Robespiere can there be? If you see him again tell him not to worry about the $50 and things never would have worked out with Janine anyway. I was in a band with some of those $18.95 monkeys in New York City during the 1970’s. Last I heard one went to art school and another got a job on Wall Street. Robespierre was the one I knew best. Last time I saw him he was writing a manifesto about using the Postal Service as a means to liberate the soul. His theology was surely influenced by his emergence from a cardboard box into the hubbub of the New York art-world of the 1970’s. As street musicians we played Soho quite a bit back then. The last I heard about Robespierre he had sealed himself in a cardboard box with a substantial amount of postage using only the word “Utopia” as a mailing address. I’ve probably been living here too long already. That is how it works here: create a problem utilizing regular trade avenues, then create the solution to the problem using the money made in the creation of the problem. Rinse and repeat. It’s corruption v2.0, no need for middle-men anymore, just be the cause and access the benefits of the corruption directly. It does make you wonder, though: what happened to all those $18.95 monkeys? I think that perhaps you could offer a combo dulcimer/monkey deal and make it hand over fist. Then you can start a foundation to liberate musically enslaved monkeys from their bonds. Win-win. Is that what the kids are calling it these days…. If your dulcimer is playing a monkey I say let them have some privacy! Understand that it is not the individual which has consciousness; it is the consciousness which assumes innumerable forms.